Mumbai: India Ratings and Research (Ind-Ra) expects the domestic denim fabric industry to continue to face margin pressures during FY19 due to oversupply, with 15%-20% of the total capacity remaining underutilised. India is one of the leading denim fabric manufacturers in the world, with a manufacturing capacity of about 1,500 million metres per annum (mmpa). Additionally, competition will intensify as several players have undertaken capacity additions to add another 100-150mmpa by FY19. Garmenting Capacity to Grow at a Slower Pace than Fabric Capacity: The long-term demand potential for the segment remains intact due to denim’s versatile fashion appeal among young populace, rising disposable income and untapped semi-urban pockets of the country. However, Ind-Ra expects denim fabric capacity additions to outpace garmenting capacity additions over the short term, translating into a continued denim fabric surplus in the market. The denim fabric industry is cyclical in nature and is characterised by periods of excess capacity; however, Ind-Ra expects the present downturn to be relatively prolonged, partly on account of the regulatory disruptions that the industry underwent in FY17–FY18. Ind-Ra expects the sector’s operating margins to remain in the range of 10%-11% in FY18-FY19. The agency’s denim fabric peer set average EBITDA margins deteriorated in 9MFY18 to 10.7% (FY17: 11.6%, FY16: 12.9%). Softening Cotton Prices May Cushion Margin: For denim manufacturers, cotton forms over 35% of the total raw material requirement. With farmers switching from soybean to cotton, the 2017-2018 season has seen about 19% rise in cotton acreage. However, the overall cotton production is likely to rise by only 10% as bollworm attack has affected production in some regions. The higher production may soften the cotton prices during FY19 and help curtail margin contraction for denim fabric manufacturers. Companies with value-added fabrics and order-backed production are better placed to sustain margins than those in commoditised offerings. Impact of Regulatory Disruptions to Linger in 1HFY19: During FY18, the textile industry has been reeling under the impacts of two major regulatory disruptions viz demonetisation and GST implementation. The last leg of denim value chain; comprising activities such as stitching, washing, garmenting, sewing etc. ; is characterised by high labour intensity. A sizeable chunk of these activities is undertaken by small scale industries which are yet to get fully accustomed to the formal banking system and the GST regime. While there has been a gradual recovery, Ind-Ra expects the impact of these disruptions to linger on during 1HFY19 for these small scale market participants, resulting in demand headwinds for the sector growth. Exports to Marginally Absorb Surplus: While a part of the denim fabric surplus will get absorbed in the global markets, India’s denim manufacturers majorly depend on the domestic market with exports accounting for below 20% of the total production. In FY17, denim fabric exports stood at 142 million metres (FY16: 132 million metres) as against imports of 9 million metres (10 million metres). The exporters will also see some impact on margins because of reduced duty draw back, notwithstanding the increase in the availability of input tax credit. 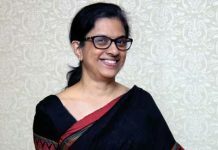 Furthermore, any adverse outcome of the ongoing dispute with the US Trade Representative at the World Trade Organization with regards to India’s export promotion schemes such as Merchandise Exports from India Scheme and Export Oriented Units Scheme may have a material impact on exporters’ margins. Rating Outlook: Ind-Ra expects the credit profile of denim fabric manufacturers to moderate over FY19 amid the continuing contraction of operating margin and debt-funded capacity expansions. Aggregate peer set adjusted net leverage (adjusted net debt/EBITDA) is expected to stretch to about 3.75x for FY19 (1HFY18: 3.57x; FY17: 3.40x; FY16: 2.82x). Working capital requirement of most manufacturers has also gone up with inventory build-up, following the drop in demand, longer credits extended to customers as well as pending GST input credits. Nevertheless, industry players with diversified revenue lines and having a mix of man-made textile products are expected to be more resilient than the pure denim fabric manufacturers. At the same time, investments in backward integration with yarn manufacturing facilities will cushion denim fabric manufacturers against cyclical downturns. Also, companies with strong liquidity, low leverage and short working capital cycle are better equipped to face the challenging times. Ind-Ra’s rated portfolio includes Sangam (India) Ltd. (‘IND A+’/Negative), Aarvee Denims and Exports Limited, (‘IND tA-‘/Negative) and RSWM Limited (‘IND A+’/Negative). Financials of Nandan Denim Ltd, Jindal Worldwide Limited and KG Denim Ltd have also been considered for this study.